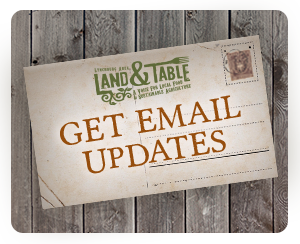 We have been laboring to build up the local food movement and the Land and Table community for two years now. From that initial meeting sitting around a small wooden table discussing the needs of the local food movement – to today, with dozens in attendance at our full blown monthly potluck gatherings – we have been amazed at the dedication and passion of this community. Recently, local newspaper reporter Amy Trent and photographer Jill Nance began attending our monthly gatherings and visiting with the farms in our network to tell the story of Land and Table. 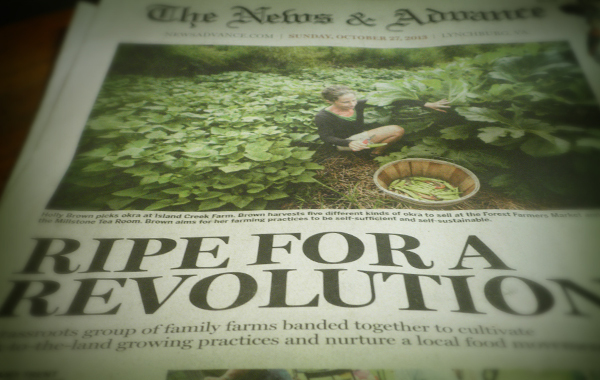 After several months the story finally hit the newsstands on the front page of the Sunday News and Advance (October 27. 2013) with a continuation of the article and accompanying articles on the inner pages. We were honored by their diligent storytelling and grateful to be able to give the wider community a glimpse into our vision and ongoing efforts.